McKinney’s Best Windshield Replacement Repair Shop is at your service. Sometimes the only way to ensure safety is to replace it entirely. Rest assured that we at Texas Windshield Service are well equipped to ensure that your vehicle glass repair is as good as new! Furthermore, we employ some of the best and brightest certified glass repair experts. They have been repairing auto glass on almost every make of vehicles on the road for nearly a decade. Moreover, nothing is irritating as operating with a cracked or damaged windshield on your car. If you are around McKinney, Texas Windshield service will give you the best window replacement services. We ensure that your vehicle hits the road in the best conditions. Furthermore, our company has some of the best and finest certified glass repair experts in the market. Similarly, our accredited glass repair experts have a vast experience in the replacement of windscreens on all types of cars for more than a decade. Get in touch with us, and you will never regret it. Every component of your car is essential; an excellent windshield is equally crucial. Usually, it does more than just protecting the driver as well as the passengers in the vehicle. In cases where cars flip over, you have an assurance that the windshield will prevent the roof of your vehicle from crumbling. Above all windscreens are a perfect tool in maintaining the structural integrity of your truck, SUV or your car. Therefore, replacement of your damaged window is essential. When there is damage on the edges of the screens. Typically, when a crack spreads across the entire window, a replacement is necessary. In some cases, the presence of scratch marks, that do not come off the window, result to complete replacement of the windscreen glass. The extent of the glass damage will determine whether the window needs a repair or a complete replacement. Likewise, the damage might be small but still warrant a replacement. In most cases where the line of damage falls in the driver’s line of vision, consider a replacement immediately. It is crucial to ensure you asses any damage on your car window correctly. Immediate measures are necessary to avoid harm to your car, the driver or passengers. Whether the damage on your windscreen is minimal or severe, our experts can handle them excellently. Trust us to get all your glass replacements done in a professional way. Choosing the right company to do your car windows replacement job is an essential step. The safety of your car and quality maintenance is crucial. Involving experts ensures you maintain that spectacular structural design of your vehicle. 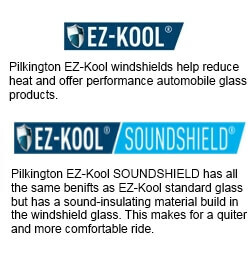 Our McKinney windshield-replacing company offers one of a kind services that will leave you equally satisfied. We do auto glass replacement, side windows repair, repair of back glasses, doors and vent windows replacement, and repair of window regulators. We have well trained and certified glass experts who have a vast experience nearly over a decade. Additionally, they are conversant with up to date styles that will leave your car even in a more stylish design after the window replacement. On the other hand, we offer the best top-notch replacement services at affordable prices. When checking for the costs of your new windshield, give us a call, and you will get a free quote. Furthermore, the safety and satisfaction of our customers is our priority. We replace your windshield with quality glass ensuring that they give you a lifetime service. Above all, we have excellent customer service, quality parts, certified technicians and you cannot go wrong with Texas windshield service. We are reliable, affordable and provide professional services. Finally, we offer a guarantee for all our installations. Contact us today or fill our request form and we will sort all your windshield replacement problems.